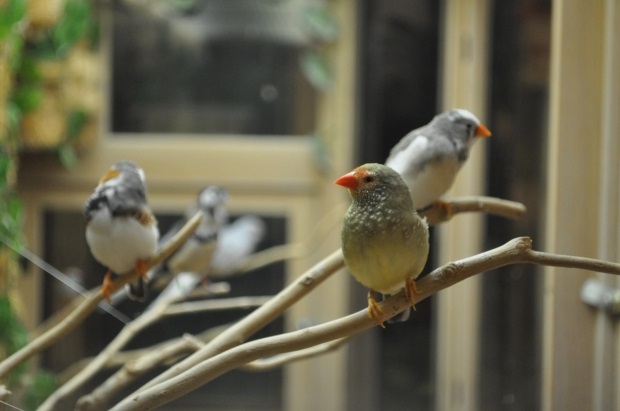 Another example of evolutionary storytelling is with the alleged evolution of birds. Our fine feathered friends (except at 4 AM on a summer day when I'm trying to sleep in, I don't cotton to that) have been puzzling for bacteria-to-bobolink evolutionists for quite a spell now. Still, they come up with some interesting stories. Not so much science though, that needs evidence and that kind of thing. Naturally, the "dinosaurs evolved into birds" presupposition is invoked, and other circular reasoning. They also tend to overlook important data and still make unsustainable triumphant proclamations. They still can't change the truth: God created birds and everything else with variety and adaptability, and he did it recently. A recent press release from the National Science Foundation claims that the “big bang” of bird evolution has been mapped, revealing the history and origin of birds, feathers, flight, and song. But do the genomes really “tell a story” as the NSF news release claims? The data can be interpreted within the evolutionary paradigm that assumes universal common ancestry, although many of the stories seem quite incredible. Realistically, if the assumptions are wrong, these conclusions are likely to be wrong as well. The same data is easily interpreted within a biblical framework, which points to an awesome Creator who has cared for birds in some amazing ways. Don't get your tailfeathers in an uproar, you can read the rest of the article by clicking on "The Big Bang of Bird Evolution?"